Ghost-Tech P.I. 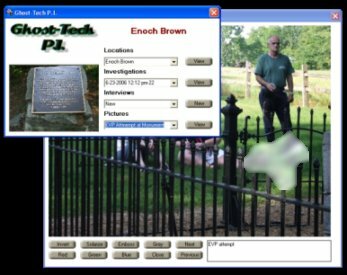 is your free one stop resource for documenting your paranormal investigations. Version 1.0 is now available for download. Download version 1.0... Its Free!